So the whole chain of trust is based on the ROOT AUTHORITY. 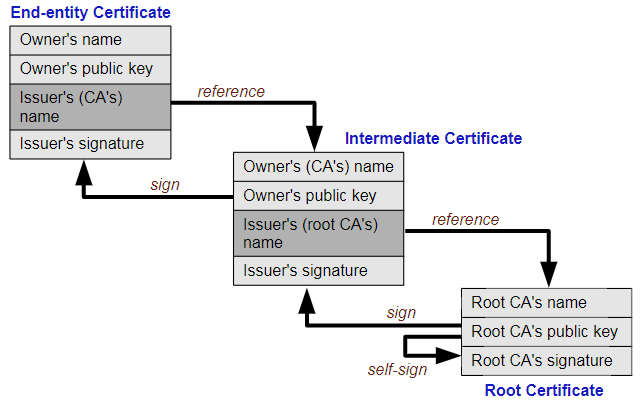 All these are also fundamental concepts of digital signatures. A signed electronic file is trusted to be secure because it has a certificate attached where the mathematical public key algorithms of its encryption are able to guarantee that nobody can falsify this certificate and that this certificate is traceable back to its root certificate. 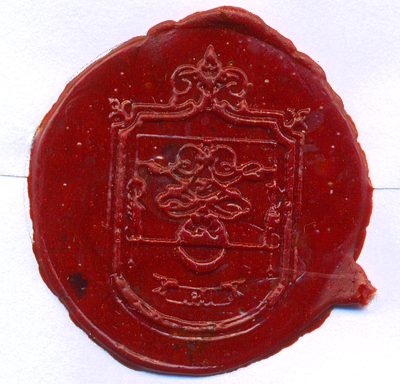 The intact seal guarantees that nobody has accessed the content of a sealed container with valuable information or that nobody has replaced the diamonds in the container with worthless pieces of glass. You see that for this functionality the trust in the seal's authenticity is important, but more important is its certified intactness. So if an electronic file has no certificate attached where we expect one then the probability is high that someone has changed that electronic file, maybe for a malicious purpose. For this reason many organizations have a strict security-policy about the software programs used on their computers: Every program must have a proof of intactness and authenticity to protect it from being replaced by a malware-infected copy of the program. Another requirement is that this intactness and authenticity must be easily verifiable. The user needs to use a specific program which unfortunately has no digital signature (as shown by the PA-RUN Security Icon: ), while he must follow the requirements of his organization's security policy. The user clicks on this icon : PA-RUN then asks the user to create a self-signed PA-RUN EXE-SEAL Certificate which can be done with a simple mouse-click after having answered a few questions. (This must be done only ONCE, as the PA-RUN EXE-SEAL certificate is then automatically stored in the PA-RUN data folder and can be used in the future to sign unsigned programs). The user then gets a proof that this program is not infected by any malware, e.g. by clicking on the PA-RUN Virus-Check Security Icon: or or by using another AV-scanner. This step is very important, as the trust of the PA-RUN EXE-SEAL Certificate is based on this step. The user then signs the unsigned program with the PA-RUN EXE-SEAL Certificate which requires a simple mouse-click. This is a very innovative and easy to use feature which contributes to the software security both at home and in your organization!